On the cusp of the game’s third anniversary, Illyriad, the acclaimed HTML5 strategy game, announces its first expansion today. This addition will double the size of the world map, giving players new and old more available land to expand their empire. The expansion will introduce new gameplay choices including interactive NPCfactions and a PVP-protected zone for players who wish to not partake in player verses player combat in their cities. 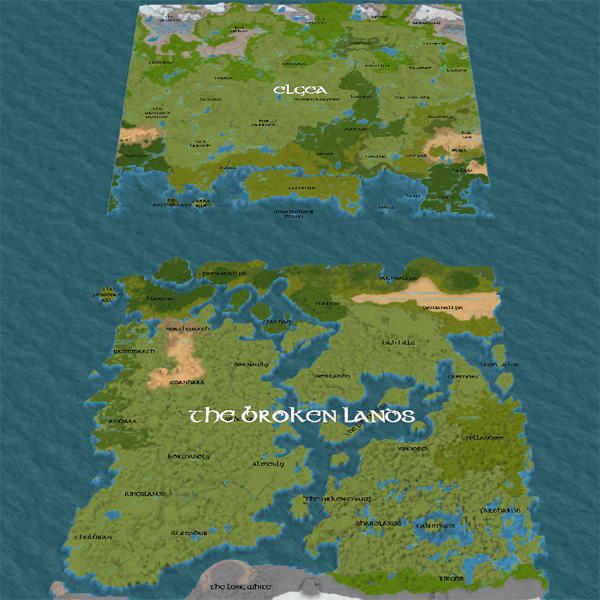 Adding a portion of the Broken Lands map as a PVP-protected zone is an important step for the evolution of the game that allows players more power to truly choose how they want to interact with the world and others around them. 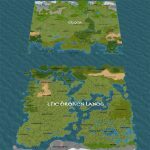 With the release of the Broken Lands, NPC factions currently in game, as well as new factions added with the expansion, will become live and interactive. Players and Alliances will take part in story-driven quests that will determine their standings with factions, influencing how they affect the world through combat and trade. Players will uncover the new continent, The Broken Lands, a war-torn land mass newly discovered to the south of the current continent Elgea. 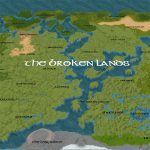 With entirely new factions, NPCs to fight and a unique quest and storyline, The Broken Lands will be a separate area of the game that will build up its own player-driven economy and power structures. After the apocalyptic destruction called The Sundering, The Broken Lands must be rebuilt by new and established players alike who will settle cities on this desolate land. The use of the fullscreen WebGL browser technology enables players to experience the whole world; conveying its profound sense of scale while allowing a new fidelity in interactivity. Illyriad is free-to-play and the Broken Lands expansion will be available to all players for free. 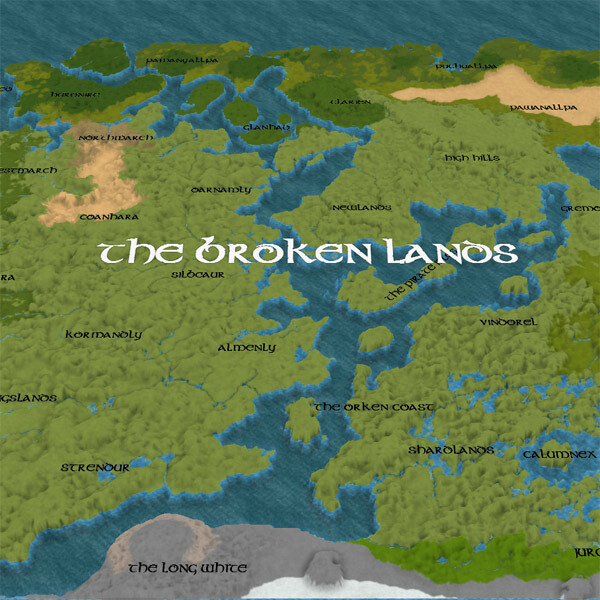 The Broken Lands is set to be released in 2013. I was wondering, will players be able to have half their cities on one side and the other half on the other side of teh continent? 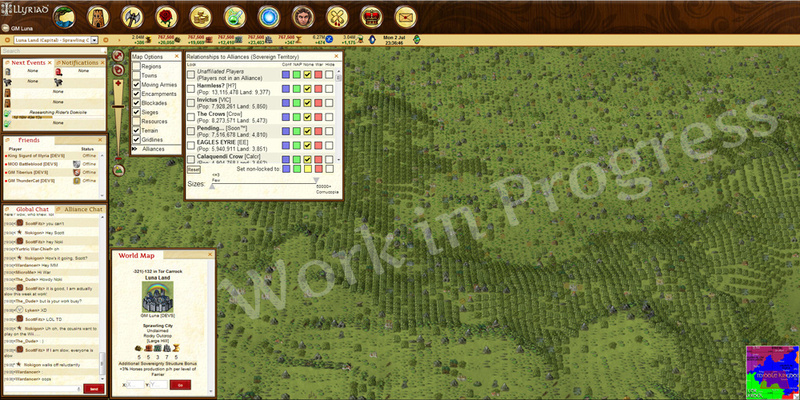 Also will the players in the peaceful half be able to send resources to those in the war zone?